These very well-integrated products provide connectivity to Modicon Modbus, Modbus Plus, and Ethernet networks in distributed environments. They support 32-bit and 64-bit Windows applications along with 16-bit DOS and Windows (Win16) applications. The MBX Driver provides device driver support under Windows for all Modbus Plus (MB+) interface adapters from Schneider Electric. This includes support for popular cards such as PCIe-85, PCI-85, SA85 and PCMCIA 416NHM21234, as well as the TSXCUSBMBP USB adapter. The driver operates in either interrupt or polled mode and supports all current Modbus Plus interface adapters for PCI Express (PCIe), PCI, ISA, EISA, MCA, PCMCIA and USB buses that work with the supported operating systems. Multiple interface cards can be installed at the same time, limited only by the number of available slots. Full implementation of all Modbus Plus features provides support for Data Master/Slave, Program Master/Slave, global data and Peer Cop. Since 1994, the MBX Driver has been the worldwide standard, and is used with virtually all Modbus Plus compatible software programs. This includes both 32-bit Windows and 16-bit legacy DOS/Windows applications. The Ethernet MBX Driver emulates Modbus Plus over TCP/IP. It allows virtually all Modbus Plus compatible software products to gain access to TCP/IP-based communications with no code modifications. This includes 64-bit and 32-bit Windows applications along with 16-bit legacy DOS/Windows applications. The Serial MBX Driver provides connectivity through standard serial COM ports to Modbus-compatible programmable controllers and other devices. It supports both master and slave node communications, in both ASCII and RTU formats. Because the Serial MBX devices emulate Modbus Plus devices, standard Modbus Plus compatible applications can run without modification. The MBX Gateway Driver lets applications use MBX devices on remote MBX Gateway Server systems as though they were on the local system. 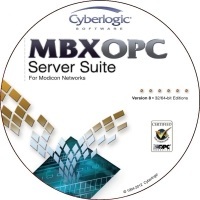 The client system running the MBX Gateway Driver must be a Windows node connected over a TCP/IP network to another system running the MBX Gateway Server. It can then access the Modbus, Modbus Plus and Modbus TCP networks that are connected to the server node. 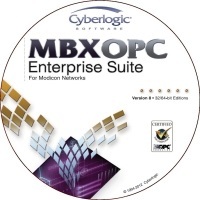 The MBX Gateway Driver provides complete MBX Driver functionality to the client node applications, including support for Data Master/Slave, Program Master/Slave, Global Data and Peer Cop. An interface adapter, such as a Modicon PCIe-85 card, is not required on the client node. MBX Gateway Driver nodes can communicate with multiple remote servers and all Windows-compatible TCP/IP networks are supported. 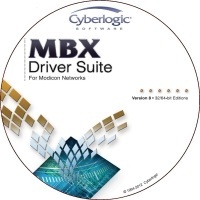 The MBX Driver Suite includes the MBX Gateway Server. When enabled, the MBX Gateway Server allows other computers on your network access to the MBX devices on your system. The remote system, which can be any Windows node running the MBX Gateway Driver, will then have full MBX Driver functionality just as though the MBX device in the server system were installed in the remote system. The Virtual MBX Driver allows all existing 16-bit DOS or Windows 3.x NETLIB/NetBIOS-compatible applications to run under current Windows operating systems in their original binary form. This includes programs such as Modsoft, ModLink, MBPSTAT and hundreds of other custom applications written by software developers and system integrators. With the Virtual MBX Driver installed, you can execute 16-bit programs exactly the same way as in their original environment. These applications can run concurrently with other 16- or 32-bit applications, sharing the same device driver. In addition, you can concurrently execute multiple instances of the same application. For example, you can run multiple instances of MBPSTAT to monitor the operation of multiple Modbus Plus networks. If your computer uses Windows 10, Windows 8, Windows 7, Vista or the 64-bit edition of any Windows version, refer to Cyberlogic Knowledge Base article KB2010-02_Running_16-Bit_Applications.pdf for important information on using the Virtual MBX Driver on your system.